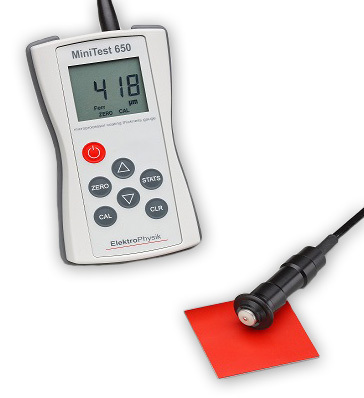 The rugged coating thickness gauge MiniTest 650 follows its long-time proven predecessor model MiniTest 600 in the line of gauges with a fixed external probe offering measurement of all non-magnetic coatings on steel and all insulating coatings on non-ferrous metals. It is especially designed to work in rough environments as well as on on abrasive surfaces, e.g. shot-blasted steel, plasma spray coated surfaces. The MiniTest 650 is the ideal tool for any measuring task in the finishing industry. The rugged and easy-to-handle thickness gauge combines extended mechanical life on the one hand and high accuracy on the other hand to meet the requirements of any professional user in the shipbuilding, automotive, bridge building, construction or other industry. 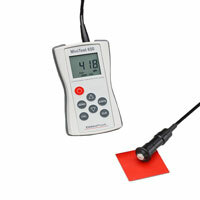 The battery-operated gauge features a backlit display and a one meter sensor cable. 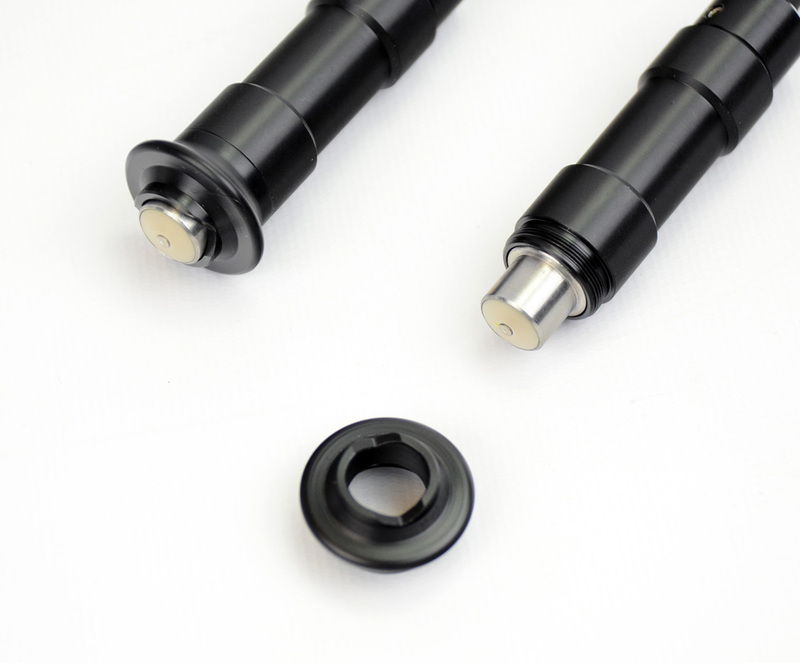 The newly developed one pole sensor is made of a wear and tear resistant carbide material to ensure a virtually unlimited life cycle under normal condition use. An optimal ram- and impact-protection is provided through the rubber rimmed casing. Via a USB interface, the MiniTest 650 can be connected to a PC for on-line measurements or display of the statistics.